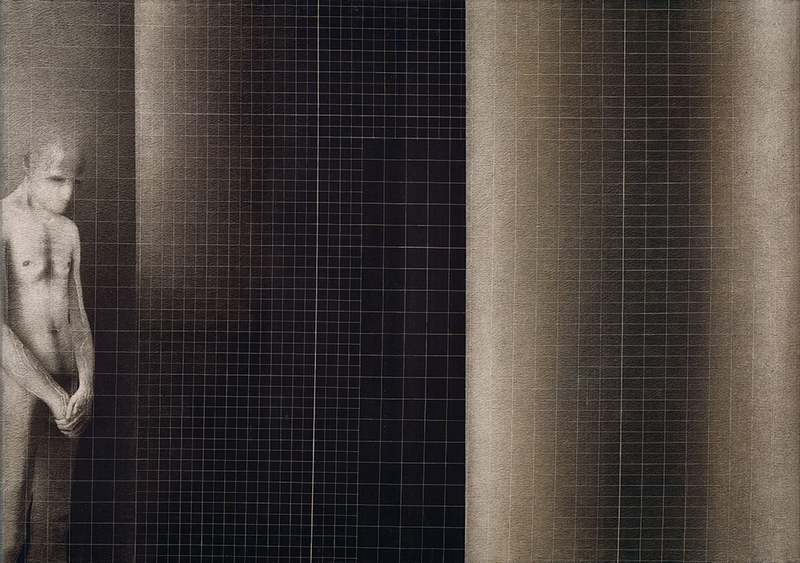 Born in 1941 in Delhi, Rameshwar Broota graduated in Fine Arts from the Delhi College of Art in 1963. Soon after his graduation, he joined the institution as a lecturer. Since 1967, Broota has served as Head of Department at Triveni Kala Sangam, New Delhi. Since the beginning of his career Broota has been deeply involved in the contemporary human situation that degrades individuals and pollutes relationship between them on the social plane. His early oil paintings showcased, 'humanized' gorillas, and were corrosively satirical and showed the artist's concern for the socio-moral being of man. 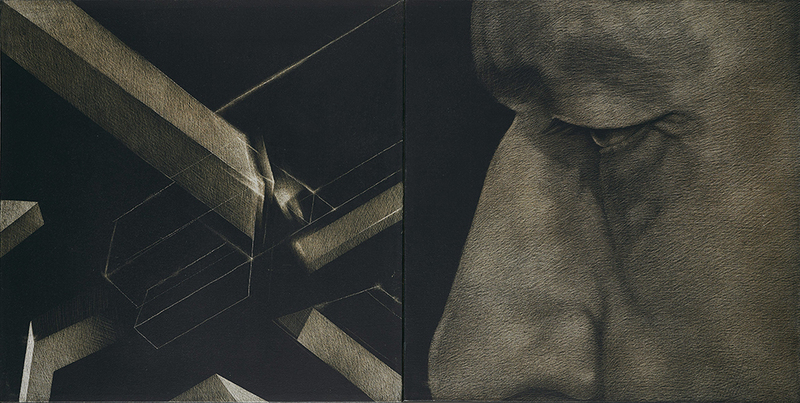 Over the decades Broota evolved a technique of painting mostly in monochrome, usually painted in matte black, he works with a sharp, thin blade to bring in light and forms, exposing the white surface below, creating deep spatial dimensions. In this phase he focused on monumental humans, wounded, hardened and somehow dehumanized. In some paintings he shows man against a forbidding wall on which appear illegible hieroglyphics, suggesting the inscrutable destiny of man. His highly personalized technique less painterly in application of paint, has the quality of graphic print. His art is constructed on the basis of blatant simplicity, powerfully concise statements and unrestrained detailing. The attributes and his established ergonomics personify his artistic ideologies. 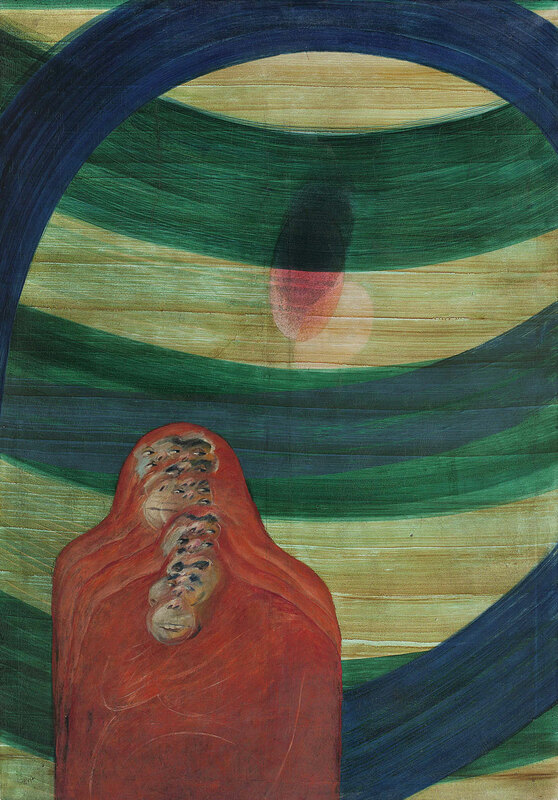 His paintings have been exhibited in many solo and prestigious group shows, namely 'Pictorial Space' presented by the Lalit Kala Akademi, New Delhi in 1977; 'India: Myth and Reality', Museum of Modem Art, Oxford in 1982; 'Modern Indian Painting', Hirsch horn Museum, Washington D.C. in 1982; Biennales in Tokyo and Dhaka, 'Art for Man', Saddam Centre for International Art, Baghdad in 1986 and International Art Fair, Cagnes-sur-Mer in 1976 to name a few. 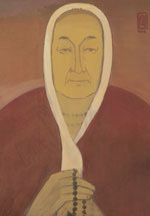 Broota’s works are housed in leading collections in India and abroad including the National Gallery of Modern Art in New Delhi, the Rashtrapati Bhavan – the official residence of the President of India, several Lalit Kala Akademi collections across India, and a number of educational and other institutions. Some of the prominent international collections include the Josip Broz Tito Museum in Yugoslavia and the Kunst Museum in Dusseldrof. His works are part of various private collections in India, USA, Germany, Switzerland, UK, France, Mexico, Sweden and Dubai. These include the Chester and Davida Herwitz Collection and the Peabody Essex Museum in USA, the Jane and Kito De Boer Collection in Dubai, Rajshree Pathy art collection in Coimbatore and Kiran Nadar Museum of Art in New Delhi and Greater Noida. Broota lives and works in New Delhi.